I have been debating where to install the 5.25" 3-way speakers I am going to be using for KITT's front speakers. The factory dash speakers are going to be replaced and upgraded too, but since they will end up being covered by KITT's Dash (the 3rd season dash had no speaker grills) I do not want to use those for the fronts. I am going to use them for KITT's voicebox instead. That brings me back to the debate of where to locate the 5.25"s. I was originally going to purchase the Q-Logic Q Forms to replace the factory kick panels. The only thing I did not like about these was that they stick out so far. I was worried about losing leg room and sacrificing comfort. 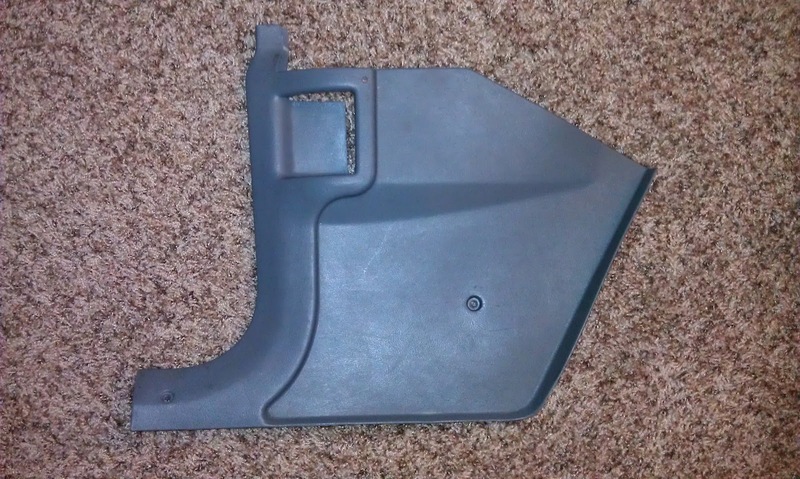 I came across a post on the Firebird Nation forum where a guy had made use of the area behind the stock kick panels. 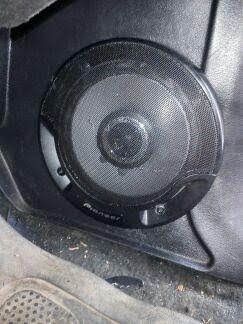 With a slight modification he was able to fit 5.25" speakers in that area and still use the factory kick panels. 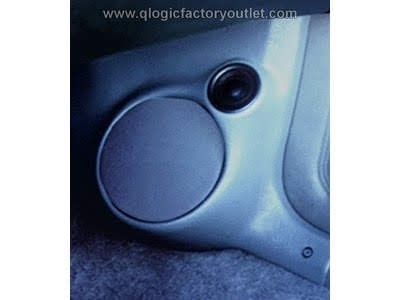 This intrigued me so I started researching and it turns out that the factory also made use of this area when they sold the the rare Bose® equipped Firebird and Camaro models. They actually had speakers mounted the same way (albeit with a modified kick panel). Here is a picture of what the install would look like. Picture taken by Bryant from Firebird Nation. My kick panels would look the same except the recessed areas would be carpeted and flush. I really like the look of these much better than the Q Forms. The next thing for me to locate was a good pair of factory kick panels as mine are shot. They will suffice to make the template for this project, but are unusable beyond that. I did some searching and located a grey pair on ebay in really good shape. I am not concerned about finding the right color as all of the interior pieces are going to be painted anyway. My kick panels arrived today! They need to be cleaned but otherwise are in great shape. 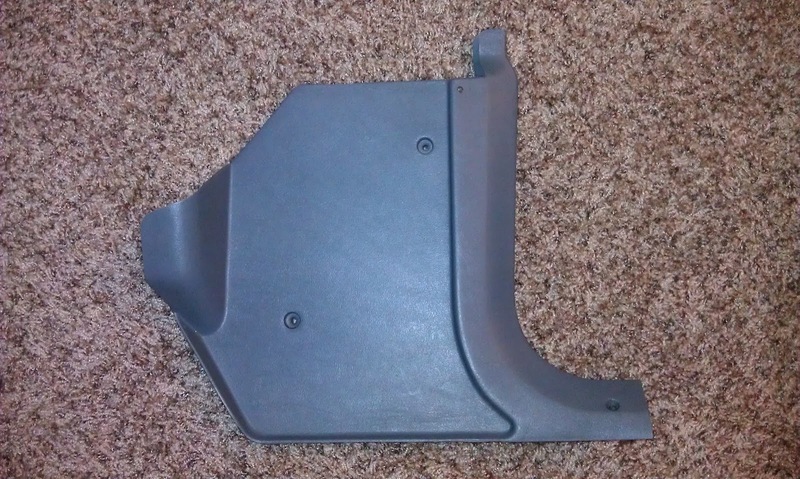 Here is the passenger side kick panel. Here is the drivers side kick panel. Mario Gives The Door A Thumbs Up!